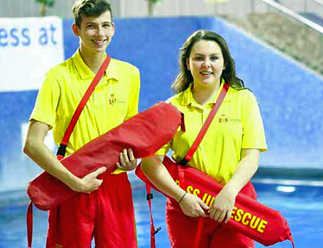 Apprentices: Max, Darcie and Jordan featured in GRAVESEND's "Your Borough" Magazine! With only 38 days or 5 weekends to go until Christmas, Swim UK are pleased to introduce our new Gift Voucher service. Gift Vouchers are available for a fixed amount or for a whole course making it a unique present suitable for any occasion or budget. There are a wide range of courses currently available including 1st Aid, Lifeguarding, Fitness Instruction, Swimming Teaching and Swimming Coaching which could be the perfect present for someone close to you. If you are interested in purchasing a gift voucher for someone special then please take a look at the relevant course page under 'How to Pay' or contact us on 01273 434400. 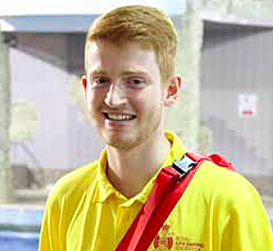 Are you interested in starting an Apprenticeship in the leisure industry? Have you taken a look at the current Apprenticeship vacancies on our website? The Prime Minister visited Swim UKs' new Functional Skills Centre in Portslade this week and spent part of the morning with both Swim UK staff and learners. On arrival the PM requested a private meeting with the Swim UK management team where he sought feedback on the Government’s commitment to Maths & English, Traineeships, Apprenticeships and the unemployed. The Prime Minister then continued his visit by joining in a Functional Skills English class before sitting in on an Anatomy and Physiology lesson for Fitness Instructors. The PM asked each learner individually about their experience in developing new skills and progressing into employment. Paul Smith MD of Swim UK said “It was a great honour to have David Cameron single us out for a visit. He was genuinely interested in the progress of our learners and the work that Swim UK is doing. It was also great to be able to show him our new Maths and English centre. The PM demonstrated considerable knowledge and insight about the sector”.